The Angel's Share – One Irishman's battle to bring his love for whiskey to the world. Alcohol and sailing have always been intertwined with one another. Thus there’s a rich vocabulary inspired by hundreds of years of tradition, some of the most choice phrases I’ve gathered together for your entertainment. Why do all your favourite dictators love Johnnie Walker? 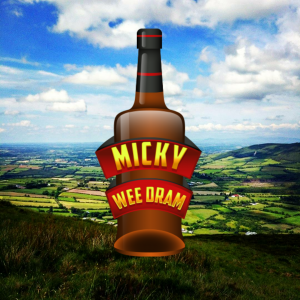 For anyone who wants to buy a bottle of whiskey this Christmas but isn’t sure where to turn, I’m here to help. I must cask, what does it matter? With the dozens of planned new distilleries opening all over Ireland those of us with a passion for the amber spirit are in for a treat over the coming years. Unfortunately for the people of Wexford there are no plans to open a new distillery in the county at the moment, however, just over the Carlow border sits one of the most exciting new enterprises which is aiming to make a big name for itself in the whiskey world.